Why is it Important For Your Hearing Aid to Fit Perfectly? You will find no shortage of hearing aids for sale in online shops. Purchasing these, while they may save you some money, is a terrible idea for several reasons. In the age of the internet, you can buy just about anything online. This includes hearing aids; you will find no shortage of hearing aids for sale in online shops. Purchasing these, while they may save you some money, is a terrible idea for several reasons. The most important reason is that the hearing aid will likely not fit you; the fit of a hearing aid is incredibly vital to its functionality. To find out why you should always pay attention to the fit of your hearing aid, read on. An ill-fitting hearing aid is only going to make matters worse. You’ve probably heard before that you’re never supposed to put any objects in your ear without your audiologist–not even cotton swabs. So, you can imagine what an insertable piece of plastic would do. You’re also running the risk of the hearing aid being poorly adjusted. If it’s too loud, you could damage your hearing even more. 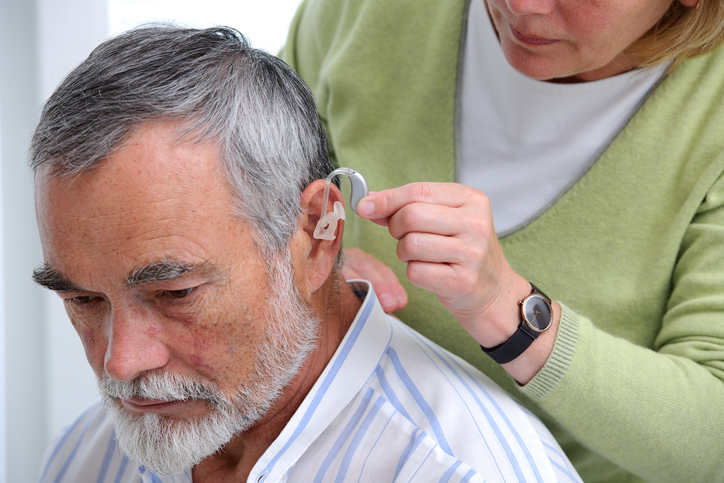 If you don’t get a hearing aid fitted by a professional, your hearing could be compromised. The comfort of a hearing aid is actually hugely important. It’s an issue of functionality. If your hearing aid doesn’t fit right, that means it’s not sitting on your ear in a way that would do you any good. So, you’d essentially have a useless piece that will only make you dissatisfied. Not to mention, you’ll be very uncomfortable while wearing it! The best way to get a hearing aid is through an audiologist. It takes a professional to properly fit you for a hearing aid; and, occasionally, an impression of your ear must be made to ensure the best fit possible. You can only get the best quality hearing aid if you go to an audiologist, so make sure you book an appointment if you suspect you may need a hearing aid. We’ll conduct an evaluation and determine how to solve the problem. Bay Area Audiology can help fit you with the perfect hearing aid! This entry was posted on Thursday, November 17th, 2016 at 12:41 pm. Both comments and pings are currently closed.